Hockey lost one of their greats Sunday when longtime New York Rangers defenseman Harry Howell passed away at the age of 86. The Hall of Famer, despite retiring from the NHL back in 1973, still holds the Rangers’ record for games played after playing 16 seasons in which he only missed 17 total games. “The National Hockey League mourns the passing of legendary defenseman, consummate professional and Hockey Hall of Famer Harry Howell. He will be remembered not only for his consistency and leadership but with the ultimate class from with which he carried himself,” said NHL commissioner Gary Bettman from a statement. 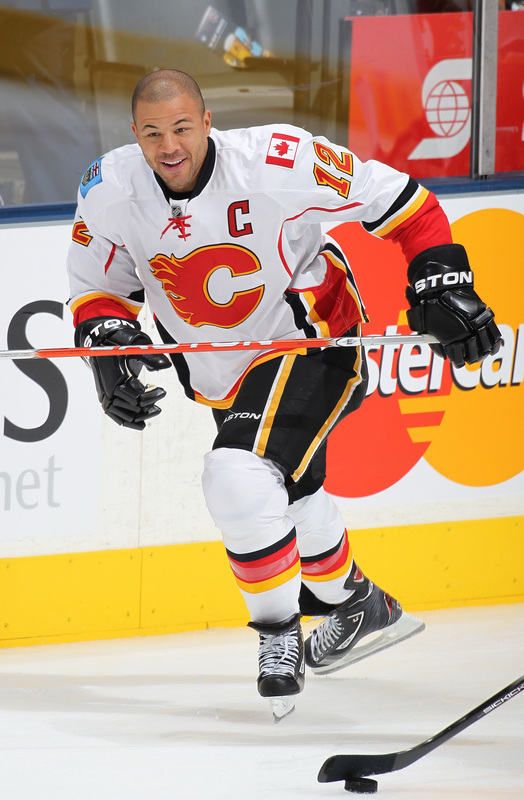 Howell played 1,411 games at the NHL level, scoring 94 goals and 418 points throughout his career. He joined the New York Rangers in the 1952-53 season and immediately became an impact defense-first blueliner and while his 6-foot-1, 195-pound frame was considered big for that era, Howell did not use his size to be overly physical as he was a defenseman who built his level of play with proper positioning and a high hockey IQ. While he had 418 points throughout his career, he was not a big point producer over the first nine seasons as he never reached the 20-point plateau in all those year. His first big offensive year actually came in 1966-67, his 15th season, when he tallied 12 goals and 40 points. That was the year he won the Norris Trophy, as the NHL’s best defenseman. After the 1968-69 season, Howell began to have back problems that eventually required surgery. Despite offering him a position with the team, Howell, 37 at the time, wanted to keep playing, so the Rangers traded Howell to the Oakland Seals for cash. He played with the Seals for a season and a half before the then California Golden Seals traded him to the Los Angeles Kings for another two and a half seasons. He later continued his career by playing with the WHA for three more seasons after that before retiring completely in 1976. He was voted into the Hall of Fame in 1979 and had his number retired by the Rangers in 2009, and will no doubt be remembered as one of the great New York Rangers players ever. The IIHF Hall of Fame has announced their class of 2019, and several familiar names will inducted for their international pedigree. The full class includes Mike Modano, Haley Wickenheiser, Boris Alexandrov, Jorgen Jonsson, Ziggy Palffy, and Miroslav Satan. Konstantin Mihaylov and Jim Johannson will also receive the Richard “Bibi” Torriani Award and Paul Loicq Award respectively. Modano, one of the greatest American players of all-time, competed in three different Olympic Games and took home a silver medal in 2002. He competed many other times internationally for the United States, including as part of their gold medal-winning World Cup team in 1996. He finished his NHL career with 1,374 points in 1,499 regular season games, and was inducted into the Hockey Hall of Fame in 2015. Wickenheiser meanwhile is arguably the greatest female hockey player of all-time, and is unmatched on the international stage. She has five Olympic medals (four gold, one silver), 13 World Championship medals (seven gold, six silver) and was one of the first women to suit up in a professional men’s league. Wickenheiser was recently hired as assistant director of player development by the Toronto Maple Leafs, and will surely be inducted into the Hockey Hall of Fame in her first year of eligibility. The rest of the group is filled with familiar names including Palffy, who was a dominant NHL player in his day and left the league with 713 points in 684 games. Satan too made a name for himself in North America, playing in more than 1,000 games in the NHL and even recording a 40-goal season in 1998-99. The 2019 NHL Winter Classic is still more than a month away and the 2019 NHL Stadium Series game even further, but that hasn’t stopped discussions about where the league could turn next for an outdoor game. Today, BSN Denver’s Adrian Dater reports that the Colorado Avalanche are likely to be an outdoor game host “sooner rather than later.” In talking with deputy commissioner Bill Daly, Dater learned that the league is very interested in placing a game at the nearby Air Force Academy in Colorado Springs, where Falcon Stadium normally plays host to the Air Force football team and a capacity crowd of close to 47,000. Given the success of the NHL’s last foray into an outdoor game in Colorado – the 2016 showdown at Coors Field in Denver – and their special interest in games played at American military institutions, such as last year’s game at the Naval Academy in Annapolis, Maryland, not to mention the successful Division I hockey program at Air Force, the school seems like a great fit to host a gme. For now though, the league remains focused on their next contest at a college football venue, when the Boston Bruins and Chicago Blackhawks square off at Notre Dame on New Year’s Day. The Pittsburgh Penguins hope that their team is in much better shape when they take part in their outdoor game later this season, a match-up with the rival Flyers at Lincoln Financial Field in Philadelphia on February 23rd. The team continues to struggle and, even after his acquisition of forward Tanner Pearson, GM Jim Rutherford remains open for business per numerous sources. However, the next move might not be just a simple one-for-one to land a role player. TSN’s Bob McKenzie raised the stakes on the latest “Insider Trading” segment, stating that “anything and everything is on the table” in Pittsburgh. McKenzie says that the Penguins’ list of untouchables is rather short – just Sidney Crosby and Evgeni Malkin. McKenzie believes that anyone else could be move, perhaps adding fuel to the fire of recent rumors that Phil Kessel, Derick Brassard, Olli Maatta, and Matt Murray are among the names that could be on the move if things don’t improve. The Penguins did make a noteworthy move today, announcing that legendary executive Craig Patrick has re-joined the team as a pro scout. The 72-year-old Hall of Famer served as Pittsburgh’s GM for 17 years, from 1989 to 2006. Patrick was the architect of the 1991 and 1992 Stanley Cup-winning Penguins teams and much of the 2009 championship team and beyond were the products of Patrick’s regime, including Crosby and Malkin. Many will also recognize Patrick as an assistant coach to Herb Brooks on the famed “Miracle” 1980 U.S. Olympic team, while he also served as both coach and GM for the New York Rangers over a nine-year span in the 80’s. The extent of Patrick’s role is unclear, but particularly in the midst of a difficult season, this is a great hire by the Penguins if only for the wisdom and guidance of an experienced hockey guru. The Vancouver Canucks have exceeded expectations so far this season and are about to get even better. With 18 points in 15 games, the Canucks hold the second spot in the Pacific Division right now and are riding a three-game win streak. Yet, they have been without stalwart defenseman Chris Tanev for the past five games and have had to find ways to earn points without his assistance. That ends tonight, as CapFriendly reports that Tanev has been activated from the injured reserve and should be active against the Detroit Red Wings this evening. With Alexander Edler still sidelined, Tanev should step right back into Vancouver’s ice time leader role and will try to improve upon his three total points so far in the campaign. Tanev’s return should be a major boost for the Canucks, who despite their relative success, are still among the bottom third of the league in points against and could use some more stability on the back end, the hallmark of Tanev’s game. To make room for Tanev, CapFriendly additionally notes that young Jalen Chatfield has been returned to the AHL’s Utica Comets. Chatfield, 22, is in his second pro season out of the OHL, but has yet to make his NHL debut. Following the firing of John Stevens, hiring of Willie Desjardins, and other re-shuffling of the coaching staff, the Los Angeles Kings continue to make small changes to their operations. Today, GM Rob Blake came to terms on a consulting agreement with Hall of Fame player and former coach Adam Oates, the team announced. Oates, and his Oates Sports Group, currently provide skill evaluation and development services to individual players around the league and beyond. It will be business as usual for the company and their player clients, but now special services will be offered to the Kings. Los Angeles has dealt with speed and finesse issues for years now and this move signifies that they are willing to do whatever it takes to find the solution to those problems. They hope that Oates, who recorded 1420 points over his 19-year NHL career, can lend a major hand in the pursuit of a revamped offense under Desjardins. In his latest 31 Thoughts article, Sportsnet’s Elliotte Friedman writes that Dave Tippett has been a hotly rumored name on the NHL coaching market for a while now, with Friedman sounding somewhat surprised that he was not named as the replacement in L.A. or Chicago. When last we heard from the former Dallas Stars and Arizona Coyotes head coach, he had taken an advisory role with the potential Seattle expansion team. When Friedman reached out to Tippett recently for comment on the job market, he confirmed that he was happy with his current role and staying in Seattle. If Tippett really has been approached with coaching offers and has declined in favor of the status quo, that says a lot about his anticipated job with the Seattle expansion team. Tippett seems confident with his current allegiances, indicating that he is likely in line to be the franchise’s first head coach or perhaps even general manager. Poll: Is Eric Staal A Hall Of Famer? On Saturday night, Minnesota Wild center Eric Staal notched his 400th career goal, placing him among an elite group of NHL scorers that includes less than a hundred names. At his current pace, he will also hit 1,000 career points either late this season or early next, joining an even more exclusive group. Staal has quietly become one of the more prolific scorers in NHL history. Has he also sold his case for the Hockey Hall of Fame? Staal, 34, is one of the league’s more under-the-radar superstars. Sure, he is well-known for being the oldest of four brothers with NHL experience and for putting the Carolina Hurricanes on the map by winning the 2006 Stanley Cup championship in just his second pro season. Yet, all those years as the centerpiece in Carolina also limited his exposure and many years capped his production as well. Few would name Staal as one of the best players in the league since the turn of the century, but the statistics show otherwise. The question is whether his success will last the test of time. Now in his 15th NHL season, Staal spent twelve years with the Hurricanes and seven as their captain. Just as it started looking like he was slowing down, Staal signed with the Wild three years ago and re-booted his career with back-to-back 65+ point efforts. He has nine such seasons to his credit, including an elusive 100-point season as well. His 933 career points are sixth-best among all active players, while his 400 goals rank fifth. Staal has finished a season in the top ten is goals three times and points twice, despite playing the bulk of his career with the franchise that holds the NHL’s longest playoff drought and had few other players of Staal’s caliber during his tenure. Pure numbers aside, Staal has silently accumulated quite the resume. The second overall pick in the 2003 NHL Draft, Staal entered the league with high expectations. It is safe to say that the five-time All-Star has exceeded them. Staal has received votes for the Hart Trophy, awarded to the NHL’s MVP, four times (including just last season), and the Selke Trophy, recognizing the league’s top defensive forward, seven different times. 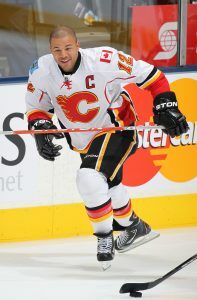 He is also a member of the super-elite “Triple Gold” club, a 26-man group of players to have won the Stanley Cup, Olympic Gold, and World Championship Gold. How does he compare to current Hall of Fame members and those who missed out on being enshrined? Reaching 1,000 points does not automatically qualify a player for selection. Sixteen former greats, not including those recently retired, cracked the benchmark but did not earn a spot in the Hall. This includes Staal’s former teammates Rod Brind’Amour and Ray Whitney – for now. The 400-goal mark is even less predictive, as close to 30 long-retired players in that group have not been selected. So while Staal is at or closing in on two benchmarks that put him in a group of less than 100 all-time greats, that’s not to say that all of the other names are tried and true Hall of Famers. As his statistics stand currently, Staal compares favorably to stars of yesteryear like Ted Lindsay, Dave Keon, and Henri Richard, all of whom are in the Hall. If he plays long enough, Staal to date is also likely to surpass the production of a player like Dave Andreychuk. Yet, there are plenty more who have not been named to the Hall who had more impressive numbers than Staal: Bernie Nicholls, Pierre Turgeon, Theoren Fleury, Keith Tkachuk, and many more. That is not to say that one or more of those players won’t eventually get in, but they currently act as a major hurdle to Staal’s case. Staal’s two most comparable players? Martin St. Louis and Jeremy Roenick. St. Louis was also a Stanley Cup winner and five-time All-Star who dedicated his life to one team, but performed exceedingly well when he did finally move on. St. Louis was a more decorated player than Staal, but never reached 400 goals and his 1,033 career points is very attainable for Staal, albeit in more games. Staal also has the chance to add another Cup to his resume, whether it be in Minnesota or elsewhere, to supplement his Hall application. Roenick, on the other hand, never lifted the Stanley Cup. However, he was a nine-time All-Star who scored more than 500 goals. On a per-game basis, he is similar to Staal, but was an explosive scorer year in and year out. St. Louis is in the Hall of Fame; Roenick is not. Whose company Staal joins remains a mystery, still to be sorted out over a few more years of hockey. What do you think? Is Eric Staal a Hall of Famer? Is it still too early to tell? While the Toronto Maple Leafs and Detroit Red Wings tonight are putting on a show for their fans, they’ll do even more later in the season. The Red Wings today announced that before their February 1 game against the Maple Leafs, they’ll retire Red Kelly’s No. 4 sweater and raise it to the rafters. It’s fitting that the ceremony will come before a game against Toronto, given Kelly’s ties to both organizations. Making his NHL debut in 1947, Kelly played 20 seasons in the league and retired after winning his eigth Stanley Cup in 1967. One of the rare players to find great success at both forward and defense, Kelly was a perennial Norris Trophy candidate during the first part of his career—winning the award once in 1953—only to become a dominant center for the Maple Leafs years later. That versatility and skill earned him the honor of being named one of the NHL’s 100 Greatest Players last year, and had him inducted into the Hall of Fame in 1969. In 2016, the Maple Leafs retired No. 4 in honor of both Kelly and Hap Day. One might think that by now the Red Wings would have almost every number retired, but the organization is extremely careful with the players that it bestows that honor upon. Only seven numbers have been retired to date, meaning Kelly will join a select group that includes Terry Sawchuk (#1), Nicklas Lidstrom (#5), Ted Lindsay (#7), Gordie Howe (#9), Alex Delvecchio (#10), Sid Abel (#12) and Steve Yzerman (#19). The last played to wear the number for the Red Wings was Jakub Kindl, and he’ll be the final one to do so after the ceremony in February.